DSA: What Should the Left Learn from Venezuela? The Tribe Attaché is committed to a diversity of ideas. Often, international relations can be insular, with only a select few viewpoints being discussed as legitimate policy. The Tribe Attaché has partnered with the Democratic Socialists of America at William & Mary to publish a series of articles focusing on the foreign policies of the Democratic Socialist Party of America. This piece was written by Josh Messite. Every attempt to transition from capitalism to socialism is confronted with the same set of dilemmas. How do you defend your project against powerful domestic and international opponents without betraying socialist ideals of democracy and liberation? How do you grow and develop your economy without perpetuating the injustices of the capitalist structures you’re aiming to dismantle? As socialist academic Daniel Finn puts it, the central question is this: how do you keep the wolves from the door without becoming a wolf yourself? Venezuela is in a disastrous state at the moment. Almost 90% of Venezuelans currently live in poverty, over 60% of Venezuelans are hungry, and inflation rates are historically high and still rising. Leftists have a responsibility to defend Venezuela from attempts to overthrow its democratically elected government. But the Left must also reckon with the reality of the situation. It is necessary for us to examine what the Bolivarian Revolution did not properly anticipate or address, because we will be confronted by the same problems as we build our own socialist movements. Since the Chavez Administration passed legislation in late 2001 that redistributed land and increased the amount of royalties the state collected from the oil industry, there has been an aggressive effort to reverse the Bolivarian Revolution by any means necessary. In 2002, a violent coup briefly displaced Chavez and replaced him with Pedro Carmona, who was at that time the leader of the Venezuelan equivalent of the Chamber of Commerce. Forty to sixty supporters of Chavez in poor areas of Caracas were murdered by opposition forces during the coup. While the coup was being planned, U.S. officials with ties to the U.S.-backed dirty wars and death squads of 1980s Latin America met with Carmona and other coup plotters. High-level Pentagon officials met with coup plotters within the Venezuelan military, and the CIA gave the coup their tacit support (at the very least). This extrajudicial attempt to overthrow the Venezuelan government came only a few years after Chavez won a free and democratic election by a margin of 16%. After popular protests foiled the coup and restored Chavez to power, business elites tried again to overthrow him later that year, this time by strangling the economy. Oil industry owners, managers of the state oil company, wealthy business owners, and multinational corporations such as McDonald’s joined forces in shutting down production and business operations, vowing not to reopen until Chavez resigned. The capital strike achieved its goal of plunging the Venezuelan economy into a crisis, as unemployment shot up to 22%, poverty increased by 10%, and thousands of businesses collapsed. The strike ended, the economy recovered, and Chavez replaced thousands of state oil employees with loyalists (who were far more politically reliable and far less efficient). But even though that effort failed, Venezuelan business leaders would return to this tactic again and again over the next 16 years. That’s because economic sabotage in pursuit of overthrowing leftist governments has a long and successful history in Latin America. The model currently being employed in Venezuela can be traced back to Chile’s 1973 coup. When leftist Salvador Allende came to power, U.S. government officials, Chilean business leaders, American neoliberal economists, and far-right Chilean military officials formed an alliance to overthrow the democratically elected government. President Nixon told the CIA to “make the economy scream” in Chile, using the United States’ dominance over the global economy to deny Chile access to international capital and trade. This economic warfare campaign was coupled with a military attack, and as rogue fighter jets bombed the presidential palace, President Allende committed suicide rather than surrendering. This same approach was used in Nicaragua when the leftist Sandinista government took power. The U.S. cut off Nicaragua’s access to international loans, downgraded their credit rating in spite of Nicaragua’s timely debt repayments, and worked with the Contras, a far-right terrorist group, to violently sabotage key elements of the Nicaraguan economy. Within a few years the Sandinistas were out of power. When the Western media covers Venezuela’s economic collapse, they parrot the neoliberal principle that politics and economics are separate entities. This is the concept Hungarian Marxist György Lukács referred to as “reification”: relationships between commodities are treated as rational, natural, and autonomous to conceal the active role that people play in determining economic relationships. Western media sources treat as a given that food shortages are simply the natural result of price controls, while it goes unmentioned that the owner of the largest private food supplier in the country did not deny plotting a conspiracy to overthrow President Maduro. As President Chavez said, “it is impossible to separate the social from the economic”, because the relationship between the two realms is like the relationship between the hydrogen and oxygen molecules that together form water. The widespread hoarding and smuggling of food products may be a response to price controls, but it is absurd to pretend that this is occurring in a political vacuum. Chavez and Maduro have both acutely perceived the intensity and danger of business-class revolt and American imperialism. In the address to the United Nations where Chavez famously called George W. Bush “the devil”, Chavez cited socialist thinker Noam Chomsky’s Hegemony or Survival to support his assertion that American imperialism poses a severe threat to the sovereignty of nations in the global south. In an interview with CNN, President Maduro mentioned the counterrevolutionary ambitions of violent right-wing extremist groups several times, and also explicitly compared America’s position on Venezuela to Nixon’s position on Allende’s Chile. So what plan did the Chavez and Maduro administrations devise to defend their revolution from these threats while attempting to create a new, socialist nation? They’ve formed tactical alliances with “friendly” capital, encouraged participatory democracy on the grassroots level, and they’ve selectively nationalized and socialized pieces of the private sector. Although some big achievements have resulted from these strategies, they have mostly failed. After the unsuccessful capital strike of 2002-2003, Chavez began giving preferential treatment to the elements of the capitalist class who were willing to work with him rather than attempt to overthrow him. This has amounted to a bribe to keep “friendly” businesspeople friendly. That strategy has mostly succeeded politically. Business groups who receive favored treatment have basically remained on the side of the Bolivarian Revolution, publicly supporting the administrations and donating to their political campaigns. Economically, however, the strategy of favoring friendly members of the private sector has been a disaster. This non-traditional bourgeoisie has taken advantage of their new position, becoming extremely wealthy while operating inefficiently and wastefully. The widespread fraud has encouraged powerful bureaucrats within the Chavez and Maduro administrations to continue the corrupt practices of previous Venezuelan governments. CADIVI, the system Chavez and Maduro have used to give preferential treatment to government-friendly private importers, wasted $20 billion in 2012, with help from corrupt members of the bureaucracy. 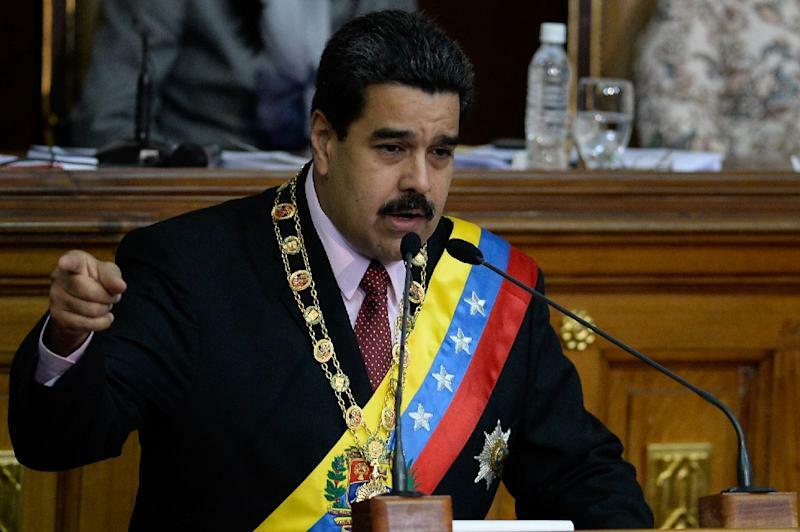 President Maduro has acknowledged the problem of these “boliburguesías” enriching themselves by stealing from the state, but his efforts to crack down on corruption and wastefulness have fallen short. Efforts to weaken the leverage that Western imperialists have over Venezuela have also fallen short. Chavez and Maduro have tried to achieve economic sovereignty by deepening ties with countries that are not aligned with the United States and Western Europe. Chavez attempted to build solidarity among nations in the global south, primarily by building up the Organization of the Petroleum Exporting Countries (OPEC) and by strengthening bonds with other Latin American countries. Chavez also expanded trade with Russia, China, and Brazil, who have disregarded American attempts to obstruct economic relations with Venezuela. Unfortunately, the rise of natural gas undermined the efficacy of OPEC as a political force, and the shifting of trade avenues wasn’t enough to overcome America’s power over global financial markets. The Bolivarian administrations have also failed to lessen Venezuela’s dependence on the private sector, and specifically on private imports. Domestic agriculture has remained only a marginal factor in the Venezuelan economy, and the food supply remains largely controlled by the private sector. Rather than undermining and replacing private importers, the administrations have subsidized them. Chavez and Maduro have also supported and funded thousands of communally-owned food producers, but private companies still dominate the food industry. Maduro did bring Venezuela much closer to socializing food by creating thousands of Local Provisioning and Production Committees, known as CLAPs. Over two million families benefited from CLAP food distribution in its first year of operation, with the goal of reaching six million families by the end of this year. CLAPs give communities direct control over the distribution of food, and the cheap food products they distribute help communities cope with shortages. But the committees are still reliant on privately-owned, imported, and industrialized food. This gives massive corporations like Polar the ability to create food shortages at will. These shortages are employed to weaken the administration, as evidenced by their longstanding pattern of occurring right before elections and then ending once the elections are over. 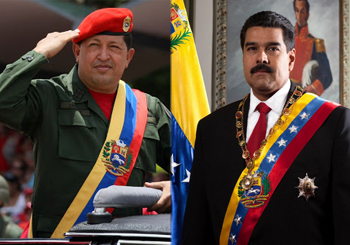 Why haven’t Chavez and Maduro gone further in transferring power into the hands of the people? In a speech he made to his presidential cabinet a few months before his death, Chavez acknowledged that the construction of a truly socialist economy had not begun. He believed that this failure was the result of a cultural problem, in which the government would nationalize an industry or build a factory, retain the old capitalist operating system and social hierarchy, then simply pretend that this was socialism. Inspired heavily by the ideas of Marxist philosopher István Mészáros, Chavez argued that the key was to create an integrated system of genuinely communal enterprises to replace the functions of the state and the capitalist economy. Maduro adopted this framework as well, making his presidential campaign slogan “Commune or Nothing!”. Once elected, Maduro set up thousands of communes, and even as state spending shrunk in 2015, spending on communal enterprises went up by 62%. But after constructing a strong, powerful, centralized state bureaucracy, Chavez was too optimistic about the chances of a communal economy transcending the economic structures that remained in place. While the bureaucracy has encouraged efforts to empower grassroots communal politics, developing thousands of communal councils, the state has been far more resistant to communal control of production. State-owned enterprises have often opposed efforts at worker control, and many bureaucrats have preserved the capitalist attitude of distrust towards the decision-making abilities of workers. Maduro is a former trade union organizer, and trade unions have a tense and often adversarial relationship with the new communal economy. The private sector still controls the distribution and importation of products and materials, and they’ve used this leverage to price-gouge communal enterprises. Expecting a communal sector of the economy to become large, sophisticated, and self-sufficient while it is forced to exist alongside far more powerful private and state-owned sectors is unrealistic. This is important, because the truly socialist economy that Chavez and Maduro envision, consisting of a complex network of communally-owned producers, would have none of the sabotage and greed of the private sector, or the graft and undemocratic nature of the state sector. The Bolivarian Revolution simply has not taken the necessary step of dismantling the old system before attempting to build the new one. The party bureaucracy is stagnant, corrupt, and accountable only to the party leaders. Rather than ending private control over food and other necessary products, the government has subsidized private producers while hoping that eventually the grassroots producers will surpass them. Nationalization has occurred arbitrarily, without any overarching strategy or order. Workers are sometimes granted control over their companies, and sometimes bureaucrats are granted control, and other times private owners retain control. These mistakes originate from an unwillingness to root out the ideas and practices of the old, unjust system. Belief in the wisdom of strict, undemocratic hierarchies is deeply ingrained. The private sector and the state bureaucracy will not simply go gently into that good night. Capitalists will naturally resist efforts to replace capitalism, and if the functioning of your socialist nation relies on the cooperation of those who are actively attempting to destroy it, that is a serious error. 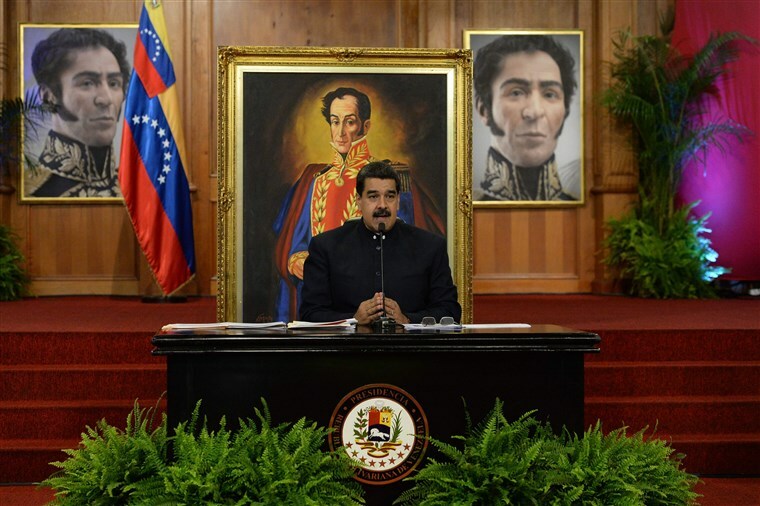 The Bolivarian Revolution has dramatically improved material conditions for poor and working-class Venezuelans, encouraged the growth of popular power, and offered an inspiring vision for a democratic and equitable socialist society. The unwavering stand Bolivarian Venezuela has taken in solidarity with its marginalized and exploited groups against the oppression of capitalism and imperialism is heroic and honorable. But unless it casts off the remnants of the society it revolted against, its enemies may defeat it. Very interesting article, I look forward to reading more from Mr. Messite.